This is the A-10 Demo Team crest patch for the 9th Air Force. 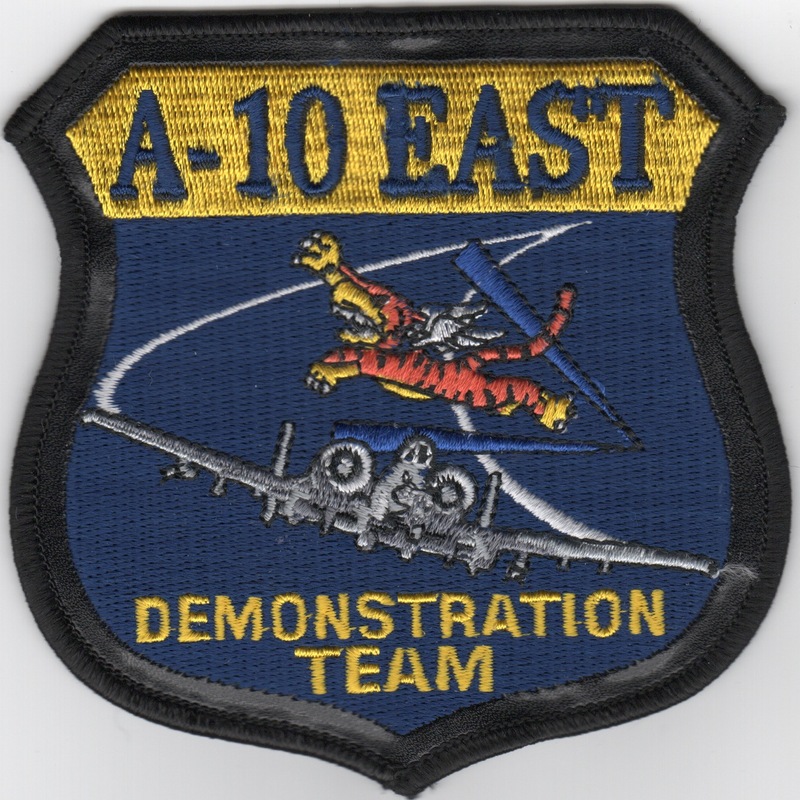 This is the A-10 East Coast Demo Team crest patch with a leather border and depicts the "Tiger" below the aircraft. It is from the 74FS, assigned to the 23d Fighter Group and stationed at Moody Air Force Base, Georgia. It does NOT have velcro already attached. 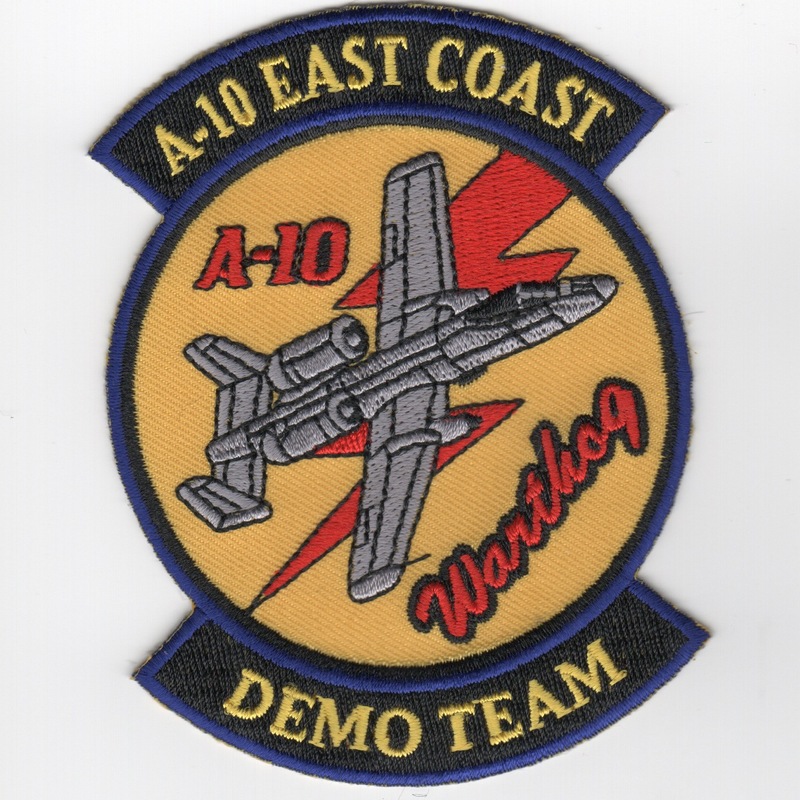 This is the A-10 East Coast Demo Team crest patch with a leather border and depicts the "Tiger" above the aircraft. It is from the 74FS, assigned to the 23d Fighter Group and stationed at Moody Air Force Base, Georgia. It does NOT have velcro already attached. 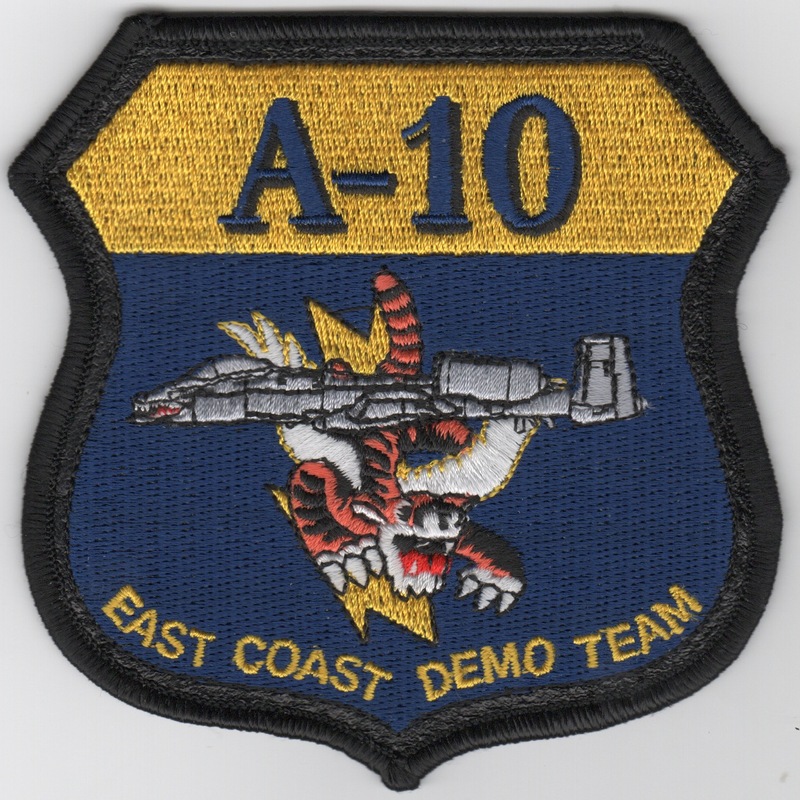 This is another version of the A-10 EAST Coast Demo Team patch with 2 tabs. It does NOT have velcro. 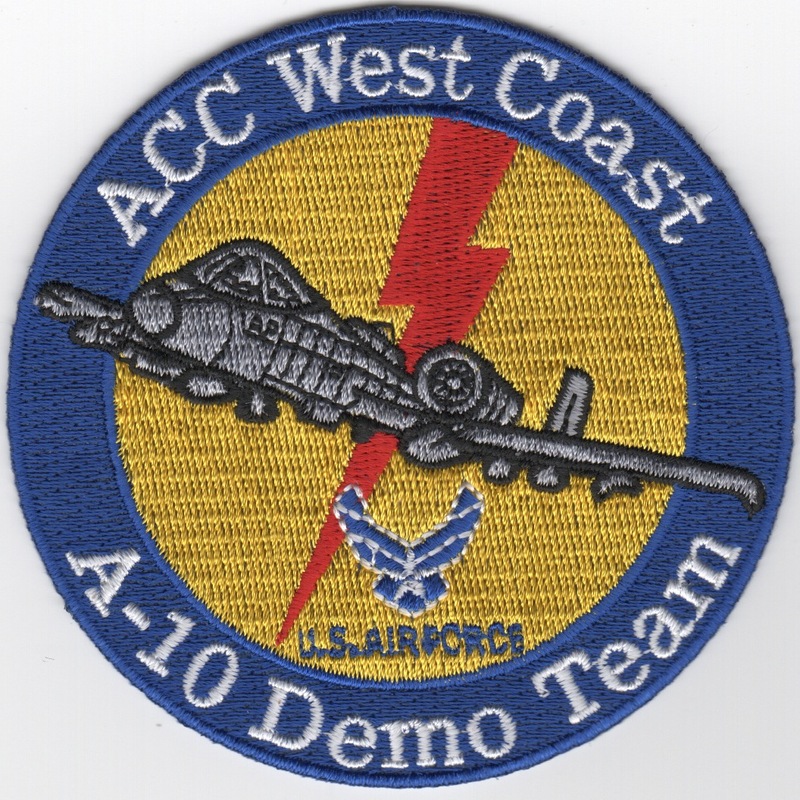 This is the round version of the A-10 WEST Coast Demo Team patch. It does NOT have velcro. 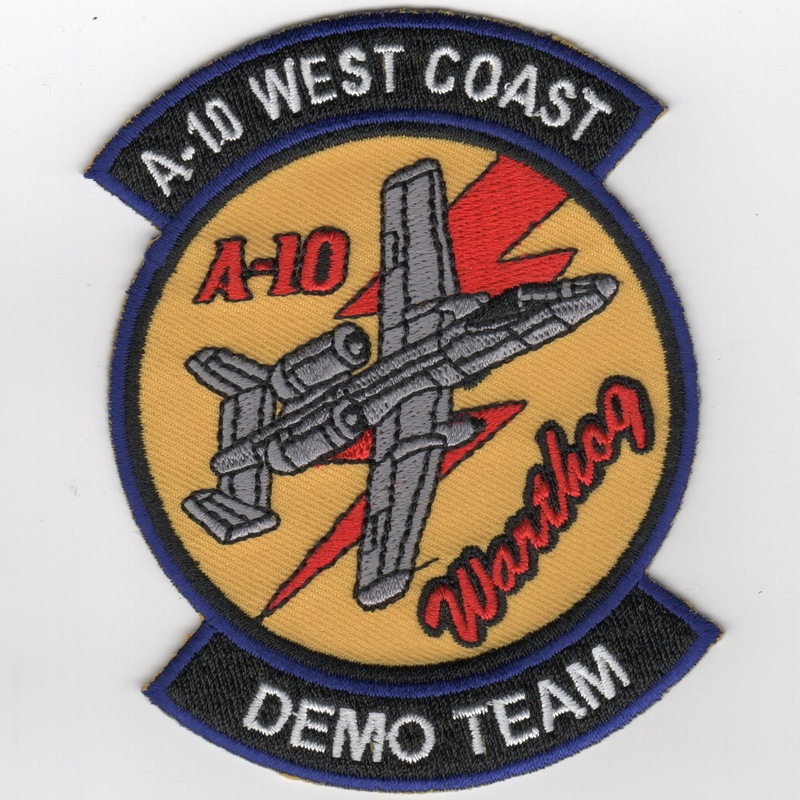 This is another version of the A-10 WEST Coast Demo Team patch with 2 tabs. It does NOT have velcro. Homepage | Order A-10 Demo Team Patches!